Probably one of the most asked questions anywhere you go online looking for shipping companies and shipping options is this one: Where can I find a cheap shipping company that can also ship my stuff fast? Well, the truth is that there are many such companies out there if you know where and how to look. The thing is that some people may have already found these companies and are working with them right now. But while they may do their job properly, you also need to learn how to pack your items so they don’t get damaged in transit. The first thing you need to bear in mind is that you need o use a lot of packing foam, especially when you’re sending fragile items overseas. What’s great about packing foam is that it can effectively protect your items while in transit and at the same time it’s very lightweight, so you don’t need to worry about paying expensive fees for shipping that specific item. Also, getting packing foam is quite simple and all you need to do is go online and you’ll find quite a lot of suppliers. There will always be some people out there who want to ship large items, including washing machines, motorcycles and so forth. If that’s the case with you, then it’s very much recommended that you use a lot of cardboard and a lot of tape in order to secure it. Sure, it’s going to be a bit more expensive to ship larger items (more tape and more cardboard boxes required), but this cost is nothing compared to the amount of money you’d have to pay if one of these large items would get damaged. If you don’t know how to pack these large items properly, don’t worry about it. You can hire someone to pack them for you. Last but not least, you need to learn more about the shipper’s reputation before you choose to work with them. For this, it’s recommended to check what others have had to say on the online community forums about them and whether they would use their services again or not. Also, don’t forget to ask about discounts if you plan on shipping many items with them and they are certainly going to give it to you. 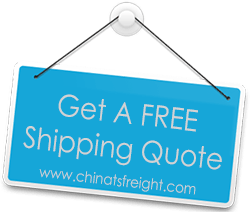 Enjoy shipping your items fast and safe!